OK folks. Take a gander at this little sweet pea. 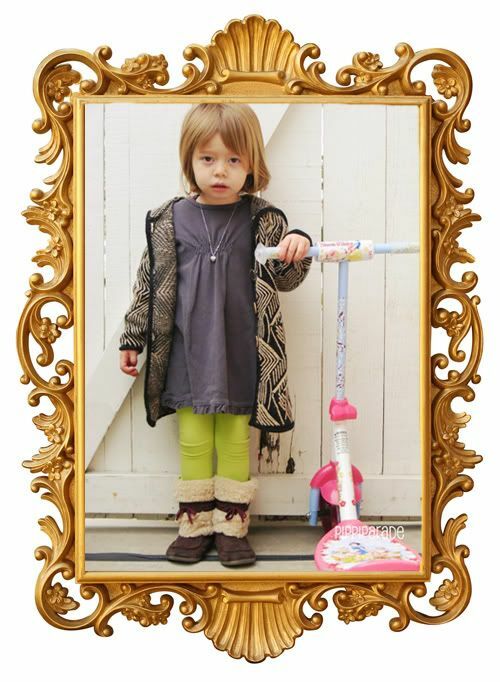 What a style maven she is, and only 3 years old! (ok ok, technically “2 1/2!”) Her mother is the totally awesome Heather who is so very clever about dressing her little girlie. 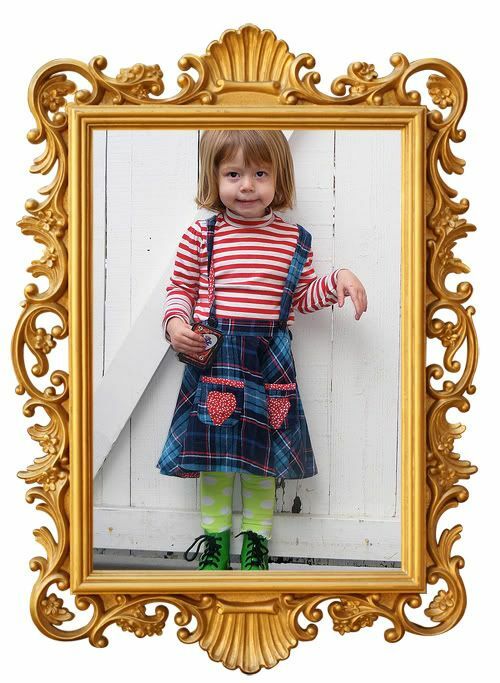 A lovely mix of store bought, thrifted and hand me downs gives this wee one a style all her own! The best part is that every little outfit looks as comfy as it looks cute. (We here at Modern Kiddo call it the “Cozy Factor”, coined by my own little Wolfie when he tried on a Stella McCartney/Gap peacoat and proclaimed, “Mommy, this jacked isn’t very cozy!”) But I digress….on with the Pippi Parade! HEY! Do you have a Modern Kiddo of your own? We want to see them! Read our Submission Guidelines and then email us at AlixnDottie@modernkiddo.com! i love it when parents make an effort to get their kids into pieces of clothing that are different from the rest. bravo! OMG! She’s the cutest little girl! Definitely the best dressed. Yay Pippi! oh she is just wonderful! and dax and cash? awesome names! Yay thanks for making pip the kiddo of the week!!! We love Pippi, how awesome to see her on here! So adorable. I love that she is so bold and colorful. Pippi is so cool! is her name short for something longer? please do share! We’ve got our own Pippi coming in July (short for Penelope.) Love those green boots girl!